With Election Day just two weeks away, the decisions you and I will make are important ones. Each and every one of us has a very important role to play. We have to decide who will get our vote. Permit me the opportunity to share with you some thoughts I ask you to consider. First and foremost, pray. Spend time in prayer asking God to guide you and your family and our country during this time. Pray before the Blessed Sacrament, pray to the Blessed Mother, pray the rosary and entrust your decision to our Lord. Like many of you, I lament the current climate of division, and the mean-spiritedness and intolerance of some toward those who do not agree with candidates and positions that do not fit their worldview. If you think you are confused and slightly battered by the noise, public protests and private misgivings, you have every reason to be so. 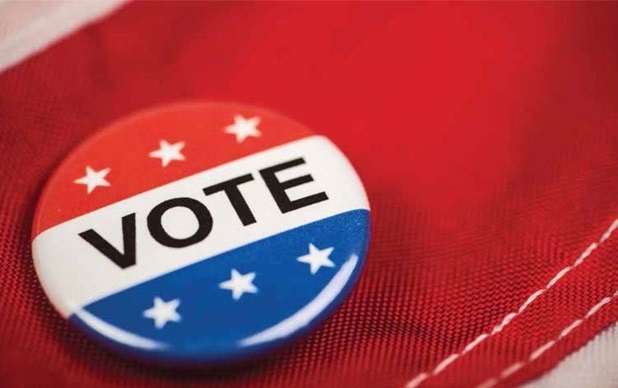 But as responsible citizens and faithful men and women of God, we have to exercise our right to vote in a way that is serious, well-informed and reflective of who we are as Americans and Catholics. The human person, made in the image and likeness of God, is the ultimate measure of what is good or bad, right or wrong. Every person is sacred and has inherent rights which political leaders must protect and serve. Those who do not are unworthy of our vote. Those who contradict themselves by saying one thing and doing another are unworthy of our vote. Many issues are very important in our society today. But none of them can eclipse the centrality of human life, especially innocent human life in the womb or at the end of life. Above all and over all, the number one issue more fundamental and crucial than any other is abortion – that is the direct taking of innocent life, which is financed by government funds — the diversion of our tax dollars to abortionists like Planned Parenthood as well as government insistence that we Catholics, like the Little Sisters of the Poor, violate our consciences to advance such programs. Support of abortion by a candidate for public office, some of whom are Catholics, even if they use the fallacious and deeply offensive “personally opposed but . . .” line, is reason sufficient unto itself to disqualify any and every such candidate from receiving our vote. Let me repeat that: Support of abortion by a candidate for public office, some of whom are Catholics, even if they use the fallacious and deeply offensive “personally opposed but . . .” line, is reason sufficient unto itself to disqualify any and every such candidate from receiving our vote. I have three questions to end this letter! Please reflect upon these as you examine your conscience and prepare to exercise your right to vote. Of the two candidates running for president, and of all of the candidates running for elective office, whether federal, state or local, which ones will continue to lead us in the current direction or which are more likely to restore justice in those areas that cry out for such a restoration?Which ones are willing to lead us in a direction that is more pro life, more pro family and more pro truth? Which ones will recognize and respect the role of religion in the lives of citizens and the Church’s right to mediate the truths of the Gospel and the Church’s teaching as part of the public life of our country, in public ministries like health care, education and charitable works, without being forced to adopt and facilitate those cultural practices that are not consonant with Church teaching? Which ones are willing to lead us in a direction that is more pro life, more pro family and more pro truth? Which ones will recognize and respect the role of religion in the lives of citizens and the Church’s right to mediate the truths of the Gospel and the Church’s teaching as part of the public life of our country, in public ministries like health care, education and charitable works, without being forced to adopt and facilitate those cultural practices that are not consonant with Church teaching? hful Citizenship”. It is also available online. I urge you to consider thoughtfully these resources along with this letter as you go through the process of deciding whom you will support with your vote. May God bless you and your families and may God continue to bless the United States of America. 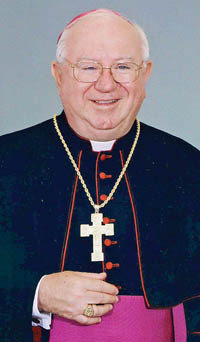 BISHOP WILLIAM MURPHY is the fourth bishop of the Catholic Diocese of Rockville Centre.